Wait–We Paid Iran $1.7 Billion To Release Four Detained Americans, Not $400 Million? So, it turns out that we paid Iran four times the amount originally reported to secure the release of four detained Americans. We all know that $400 million was given to the Iranians received only after our citizens were “wheels up” on their way out of the country. Now, John Solomon at Circa News reported today that we forked over $1.7 billion, according to a congressional source who was present at a briefing on the payment today. The $1.7 billion stems from a settlement concerning an old arms deal that was held in legal limbo after the Shah was overthrown in 1979. The $400 million figure was originally reported as part of that settlement. The news was delivered by the State, Defense and Treasury Departments in a private briefing to congressional staff who [sic] went into the meeting thinking they were learning more detail about the $400 million in payments originally reported in the news media. "They said the payments needed to be viewed in the political context. First the Iranian nuclear deal was going through, second the Iranian economy was in a difficult state and third the Iranians were in need of foreign currency," one source said. The release of Americans, which included The Washington Post’s Jason Rezaian who was being held on bogus espionage charges, occurred on January 16-17 of this year. When news of the $400 million (now $1.7 billion) hit the wires, the Obama White House tried to shrug it off, saying that this payment had already been announced, and that the United States doesn’t pay ransom for hostages. That narrative lasted all of two weeks before more information was released on the exchange. The State Department added that it was a coincidence, not a ransom. Then, the coincidence, non-ransom became a leverage payment. Finally, State admitted that the money was handed only after the release of our citizens, which is the textbook definition of ransom. Prior to the exchange, the Department of Justice warned State that Iran would view this transfer as a ransom payment, which they have. 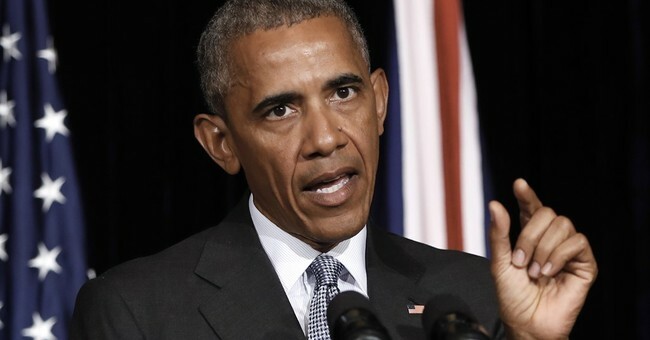 Now, with the revelations that we paid Iran $1.7 billion, and not the $400 million as originally reported, no wonder why the Obama administration initially blocked congressional inquires into our...ransom payment.